Recent reports suggest that electricity price hikes are definitely on the cards for all South Africans. The National Energy Regulator has given the power utility four years to recover R32.69bn. Not only does South Africa have challenges supplying enough coal to the power stations, but due to mismanagement and other issues, the state body has to now recover a huge amount of debt within four years. 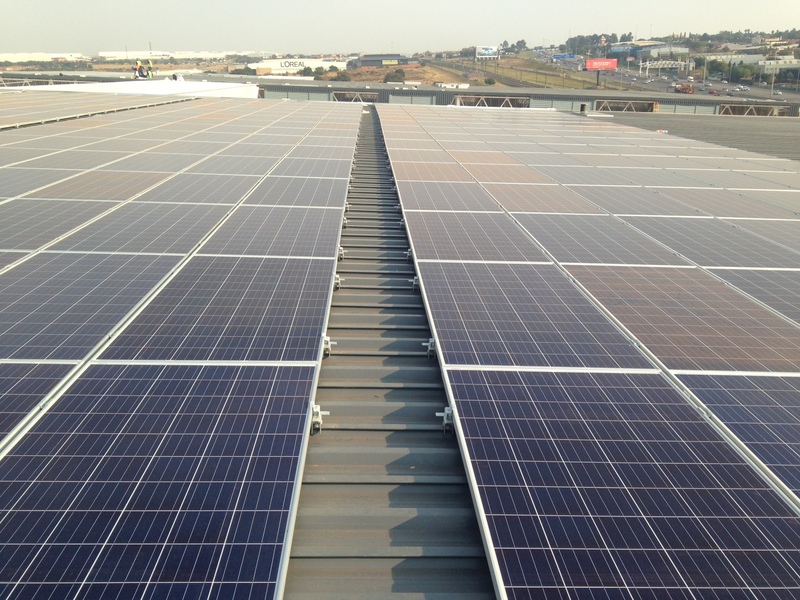 Increasingly, solar power is becoming a viable option for commercial operations in South Africa. Fedgroup’s Impact Farming partner Emergent specifically targets this market – giving clients the opportunity to purchase solar panels that are installed on commercial centres, industrial factories and even wine farms (click here to see where you can find Emergent Energy’s clients). As a leading solar energy provider in South Africa, Emergent Energy is an expert in grid-tied and off-grid renewable energy systems, sustainable building design, industrial and commercial energy efficiency and international and local renewable energy policies. Ninety percent of Emergent Energy panels are placed on roof tops, with a few customers making use of ground mounted systems that are engineered to maximize output for the farming sector. We chatted to Greg Lovell, Emergent Energy Business Development, about solar in South Africa. His view? The future looks bright! Investing in this sustainable venture not only means an environmentally conscious decision, it means a good financial one. Emergent focuses on Tier 1 fully insured panels and does extensive due diligence before selecting a new site. This includes analysing electricity usage by the landlord, current spend and the past 20 years of weather patterns. To make the venture work, enough panels have to be installed to meet 70% of the centre’s needs. The landlords then sign contracts agreeing to purchase all the electricity generated, which is around 10% cheaper than that sold from the national grid. Both Emergent, as the solar farmer, and you as the Impact Farmer, receive the income. So if you want to get into this industry, which has significant scope to expand in the next few years out of sheer necessity alone, then why not buy a panel? At R5,000 per panel, with no other ongoing maintenance fees, it is an investment that will yield between 10% and 12% return on investment per annum over the next 20 years.